I got my IBM Aptiva off the shelf today and hooked it up, (It is model 2170-801) I recently had it on about 5 months ago but I got it out and setup on the desk now. I think mine was the high end Aptiva back in 1998-1999 as the specs are higher then the similar Aptiva reviews I could find online. Specs: Original 10GB HDD running Windows 98, 40GB HDD running Windows XP Professional (Added back in early 2000s) 256MB RAM Maxed (Hoping to get at least 512MB) CD-ROM Drive, CD/RW/DVD-ROM Drive (Added) 1.44MB Floppy Drive, 2 USB 1.0 Ports, 4 USB 2.0 Ports PCI card (Added), AMD K6 500MHz Processor, 56K Modem and Ethernet port. So my upgrade try outs for this IBM PC is to try to get at least 512MB to read and try to install Windows 7 as Windows 8 and higher require that NX support for processors witch even my Pentium 4 desktops lack. I even want to find a mid early 2000s graphics card that fits into standard PCI slots so I can get better then 32bit color. It supports all the way up to 1600x1200 but only in the 16bit color, 1024x768 is the highest for 32bit color. I guess if I wanted to upgrade this PC I could hide a latest motherboard and a Core i5 / i7 inside it while keeping the Designed for Windows 98 sticker on it. No one would ever know seeing a old while yellowing tower on the desk. I even have the original keyboard, mouse and speakers for this tower, If I can remember It didn't come with the CRT monitor but I have 2 CRT black IBM ones. I'm not even sure if 512MB is possible on that machine. 3. whether the memory controller supports high-density SDRAM (like the Intel 815) or not (like the Intel 440BX). I have zero experience with Super Socket 7 boards. The closest I ever got was a Pentium 133 desktop with 96MB of EDO RAM. Are you doing this as a part of a RetroComputing project for fun, or do you expect actual functionality for daily use? Regardless of 256 or 512 MB RAM, I would specification-wise compare this to trying to install and run Win8 or Win10 on a 600X or a 770Z. Fun experiment, but neither would fly. These machines run XP SP2 quite well, but nothing much more. I prefer to put Linux on hardware that old, as that gives them the benefit of a modern OS that can still be run quite satisfactory on the old hardware. Anyway, your idea of a modern motherboard in the old IBM case seems almost more interesting. If I ever chose to have a desktop again, I will try to find a late 90, early 2000 big IBM tower and stuff some modern pieces in there. Norway Pad wrote: Anyway, your idea of a modern motherboard in the old IBM case seems almost more interesting. If I ever chose to have a desktop again, I will try to find a late 90, early 2000 big IBM tower and stuff some modern pieces in there. -- HDD bays: it came with the 3 hotswap bays, but the caddies were not included, and they cost more than what I got the casing for. I could remove them, since there's still two 3.5 inch bays (for floppy! drives). -- intake: I might need to rework the front bezel to improve the airflow, and allow the installation of 120mm or 140mm fans. -- front USB and audio ports: as a dual-socket Pentium III-S server, it didn't come with any audio hardware. There's a hole on the front bezel for two USB ports, but the headers themselves weren't included. My ultimate modding dream is to find an original IBM PC AT and modify it to fit modern boards, while keeping the front and sides looking as stock as possible. It's a great challenge, with considerable constraints to airflow and component placement due to the aesthetic requirement. I want to see the reactions of people when they go "why are you keeping an ancient---OMG i7!?" The SiS chipset will only support 256 MB of RAM (this was one of the mobos designed by acer for IBM). Also the case uses a slightly modified ATX panel so if you put a different mobo in there it may have large gaps at the rear or possibly not fit properly at all. Not many socket 7 or super socket 7 boards support 512 MB of RAM. My 256MB RAM came in and installed it and I got 384MB RAM right now, Left 1 128MB in and put in 256MB. It booted up my Windows XP Pro Service Pack 3 fine. Going to see about getting another stick of 256MB. It also did speed up the system alittle. The Windows 7 upgrade adviser just says low ram but everything else has green checked. I imagine if I got a newer HDD, since the original 10GB is over 16-17 years old and the 40GB is probably 2002-2004, it would run smoother too, I have a IDE to SATA adapter for one of my old NetVistas so handle the SSD. All the sites I looked around for this are all Japaneses sites, So i'm guessing this was only sold in the japan market. It seems like they got the good models from IBM, I have a S30 ThinkPad, but their are so many more such as the BJ550 Printer ThinkPad, PC110. I've bought a PCIe USB 3.0 card 4 port for my main desktop ThinkCentre M55e. My problem is that I have latest you can get single slot GPU Nvidia GeForce 750Ti and the dual cooling fans cover the entire PCIe slot and all that is left is 2 PCI standard slots. I wanted to get a small upgrade on this desktop by getting USB 3.0 for my 3.0 External HDDs. Aptiva Update: installed a IBM GPU card with VGA and DVI ports, graphics look good now. And also installed the IBM Ethernet card, all slots full now. Just ran Windows 7 Upgrade adviser for the heck of it and all check marks are green to go. As I said before I think Windows 7 is the highest for this machine since 8 and 10 require the NX processor feature. I'm wondering if a PCIex1 extender cable and a fair bit of modding on the back or the 2nd 5 1/4" bay would work. Have you gone any further with this project? Its very interesting to me as I had an Aptiva 2176, with a 166Mhz Pentium back in the day, and I'm toying with the idea of obtaining an old Aptiva case and trying to upgrade it into a modern machine. The two issues that are vexing me right now are the motherboard's form factor (lpx or atx) and the cooling/airflow stuff. I'm thinking of something in the Core I5/Athlon area for some light gaming, but mainly word processing and productivity. My laptop will still be my primary machine, but I do like the old retro cases, especially the sliding front covers that many Aptivas like my 2176 had. If yes, prepare for quite a bit of modding. Most likely, you'll have to remove the expansion slot support bracket at the back. If you can get a motherboard tray like this or this, you just need a find a way to bolt it into the casing and you're halfway there already. You may have to put a new switch for the power button, and rewire it (and the indicator LEDs) accordingly. With regards to airflow, there are intake vents at the left side, and hopefully the motherboard tray you purchase has provisions for an exhaust fan. If not, you'll need to make an appropriately-sized hole at the back. 80 and 92mm fans easily fit. From the looks of things, you'll only be able to fit micro-ATX boards inside that casing, so aim for that. Alternatively, you can take the mini-ITX route, then use the extra space to try fitting a 120mm exhaust at the back. Wow, that brings back memories, a great PC I was willing to spend a bit more on. Mine never had the issues with the Mwave that other Aptivas did. It always worked fine. Well, I have a Dremel and a bunch of drill bits, so the plan, were I to do it, would be to also open up a few extra holes in the sides, and then 3D print some louvers/screen covers to allow more air flow in and out. There are some Aptiva E models (designed by Acer) that tend to show up on the Bay from time to time with Win 98/2000 and 400+mhz Pentiums and equivalent Athlons. They definitely take an ATX board, so the surgery would be minimal to none. We shall see. Years ago I started upgrading my IBM Aptiva tower. Now it has a Gigabyte GA-990FXA-UD3 motherboard, AMD FX-8320 oc to 4GHz, Corsair H60 cooler, 16GB DDR3, AMD HD7870 graphics, and 1TB drive. Probably about due for another complete makeover. I am going to install Windows 7 Ultimate on my IBM NetVista X40. It is a Intel Pentium III and has a basic dual Floppy / CD Drive flip down. This was the all in one PC back in the very early 2000s. I will look around for a DVD Drive, but I need a low profile Graphics card as the PCI slot openings are small. And only can use the standard PCI, No PCIe. This is going to be just a web surf machine. It is running Windows XP Professional now on its original 20GB HDD. I just bought a brand new 500GB IDE Drive for this. I should of bought the NetVista X41 back in the day, but cost more since it had a Intel Pentium 4. But this X40 Pentium III machine doesn't require a power brick, only a 3 prong standard PC cord. The X41 required a power brick. Never mind on the Graphics card. I just remembered, Im not going to be able to out put it since its a all in one PC. It has a SIS graphics card. hopefully its good enough for Windows 7. It should since I got Windows 7 to run on my ThinkPad T20 and it had the SIS graphics card. If that machine has less than 1GB RAM, don't even try installing Win 7. I have 512MB in my ThinkPad T20 and it runs fine. This is about a Pentium II with Windows 7 Ultimate. I just checked my Machine it is running a Pentium III 664Mhz Processor and 624MB RAM. It may handle a 1GB. I check online and brought me to a Lenovo PDF and 1GB is the maxium for this machine. So i'll get 2 512MB, Or 1 since it already probably has 1 in it. A T20/T21/T22 can only take 2x256MB RAM (PC100 low density). Only the T23 can take 2x512MB RAM (PC133 low or high density). Im talking about my IBM NetVista X40 upgrade to 1GB RAM. My ThinkPad T20 has 2 256MB ram =512MB and my T23 has 2 512MB 1GB. For the IBM NetVista X40, Anyone know off hand if the built in screen is just a standard VGA plug in from motherboard or a ribbon cable? If its a standard VGA from board to LCD then i'll look for a small low profile GPU to get a better graphics then the SiS. I'll find out later when the HDD comes in to open it, but wanted to know now. I found the plug in for the LCD from motherboard. I remember seeing pins on the back of old PCI graphics cards but think they were for extended plugs. You can see their is the old Parallel printer port inside the case. Now I could throw in a PCI graphics card low Profile, that gives me a high 32-bit color, but it probably would need to be on a different display and give no point to the all in one PC. All this machine is going to be used for is just internet, and Going to need the 1GB RAM installed, can max at 1GB, Got a 500GB IDE Drive New, Windows 7 Ultimate, had extra copy laying around. And some way to get a better graphics then SiS. My old IBM Aptiva I have on here, I did the same thing to it and got a high end PCI GPU card and maxed its ram. I got Windows 7 Ultimate installed on the IBM NetVista X40. All I did was took a full size desktop DVD drive out and plugged it into the old IDE plug where the standard slim CD Drive ran off and just booted Windows 7 Ultimate from the disc. It took around 30-45min with no error or crashes during install. It is up and running and even running on the original 20GB HDD. The new 500GB HDD hasn't came in yet and so just tried it out now. The machine runs fine and very little lag. I wonder if Windows 10 will try its self installing on this machine? Windows 7 is the highest I can go on the Pentium III and Pentium 4s. They never mention that your PC requires the NX bit during the Windows 8/8.1/10 upgrade but just the same specs as Windows 7. 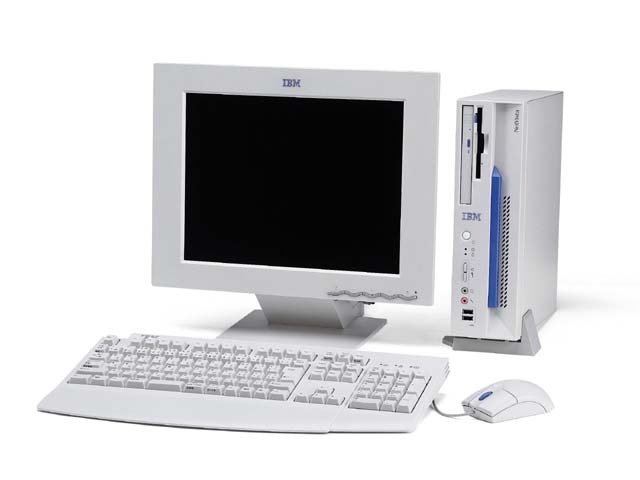 My one IBM tower has the Pentium 4 HT and installed Windows 8 then 8.1 on it, witch I'm guessing was the last Pentium 4s. What is the largest HDD this Pentium III NetVista can handle? It will lockup at the boot after beep but still able to CTRL-ALT Delete to restart it. So it is still responsive. I was reading online and 120GB maybe the highest the Pentium III can handle. I want to make sure before I order a new/old stock 120GB HDD. Windows 7 on a very old sounding 20GB HDD isn't too great. I put back in the old 20GB HDD and it boots fine. I even made sure the Master pin was set on master on the 500GB HDD. ThinkPad560X wrote: What is the largest HDD this Pentium III NetVista can handle? It will lockup at the boot after beep but still able to CTRL-ALT Delete to restart it. So it is still responsive. I was reading online and 120GB maybe the highest the Pentium III can handle. I want to make sure before I order a new/old stock 120GB HDD. Windows 7 on a very old sounding 20GB HDD isn't too great. I put back in the old 20GB HDD and it boots fine. 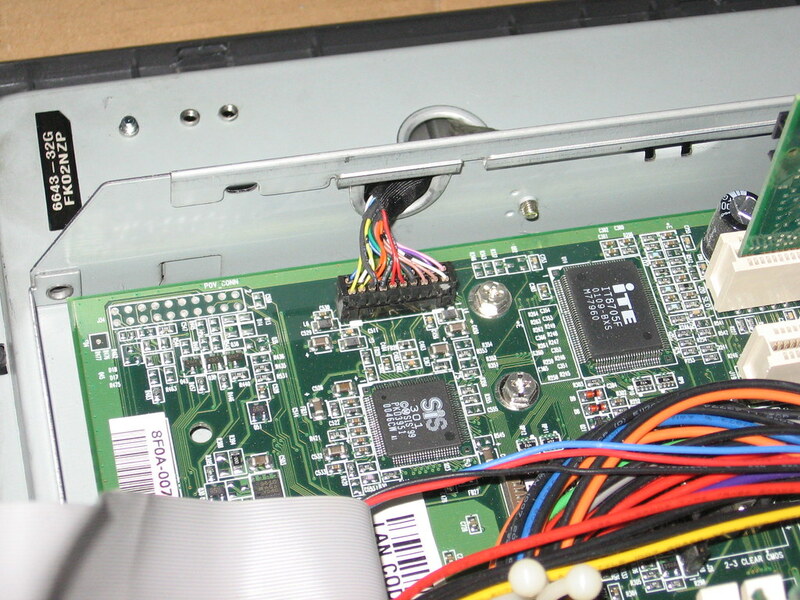 I even made sure the Master pin was set on master on the 500GB HDD. I would expect Pentium III era motherboards to easily support 2 TB. Older Windowses might require that the boot partition is below 120 GB limit. Win2000 and XP can boot from bigger partitions that their original installers supports, but it should be easy to make a small install partition and expand it once all upgrades have been installed to support 48bit LBA. I think the largest ATA/IDE/PATA drives were 1 TB and about no one bought them, so any such old Aptiva should likely support any sized ATA drive one can reasonably get hands on. For DOS or anything using DOS to boot(Win95/98) at least 40 GB is possible. I would not expect DOS to be able to boot from partition bigger than 120 GB. I know for certain I've had a functional dual boot with DOS and Win98 with 40 GB "Deathstar". *the exact limit requiring 48 lba addressing is about 127 GB, often it's rounded to a nice 120 GB flat value, as it was common HDD size as well. I went to hook up my Aptiva because I was wondering what AMD CPU it had and plugged everything in and went to power it on and nothing. I opened the case and reset the ram and other cards and still nothing. I watched the CPU fan and it barely tries to move but doesn't power on. So I removed the PSU and hooked up a ThinkCentre PSU that got replaced for a bigger watt one and the PSU powers on the Aptiva. So the original 1998 PSU must of died now. The ThinkCentre PSU fits but is too big. I don't know if I can send this original PSU in for new guts or not. When I powered on the Aptiva the 40GB 2nd HDD had bad clicks so its safe to say the drive is dead. The original shipped 10GB HDD is still running as I type this now, running Windows XP. Running CPUZ it has a AMD K6-2 3D Now 550MHz and the motherboard says made by Acer. Check the capacitors in the PSU for bulging or leaking. These can be replaced easily enough if found to be the problem. There is not much to a power supply.